(CNN) - A key informant in the case against Joaquin "El Chapo" Guzman testified in federal court on Tuesday, highlighting his meetings with the reputed cartel boss and the bloody drug war that drove him to cooperate with investigators. 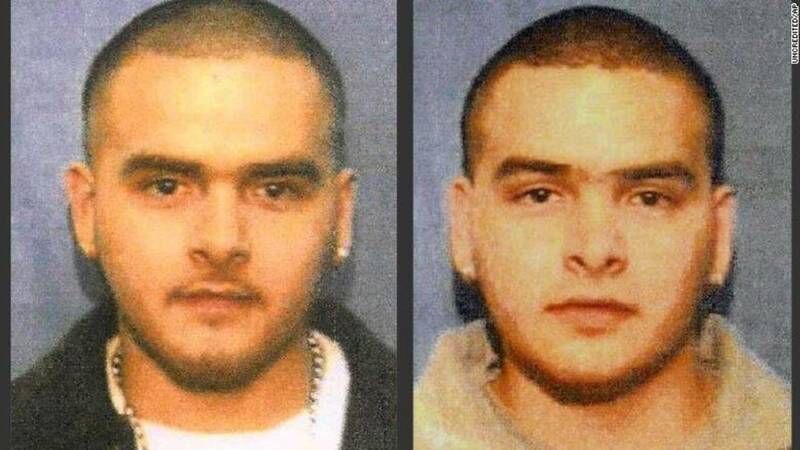 Pedro Flores, who operated a cocaine and heroin distribution business with his twin brother Margarito in Chicago, said he made recordings, which included a conversation with Guzman's son. During the recording that was played in open court, Margarito is heard giving a phone number to someone he said was Guzman's son, Jesus Alfredo Guzman Salazar, or Alfredillo. And in the background, another cell phone ring tone is heard. "That was my DEA handler calling me," Flores said. "My brother was giving him a cell number where Chapo was supposed to call us on." Flores, who wore a dark blue jumpsuit, testified in the afternoon portion of the hearing and appeared nervous at first. The 37-year-old cartel associate addressed Guzman at first as "the man." When pressed by Assistant US Attorney Adam Fels about to whom he was referring, he nervously said "Mr. Guzman." Fels pressed on, asking for Guzman's first name, and Flores answered, "Joaquin." For the rest of his testimony, Flores referred to Guzman as either "Chapo" or "the man." "My wife became pregnant in 2008 and I thought about our future, of our lack of a future," Flores said. "I couldn't promise a future to them. I couldn't promise my family tomorrow." It was a life, Flores said, he didn't want for his family. "Me and my brother were born while my father was in prison," Flores said. "I wanted something better for my children." That's when Flores and his brother started recording conversations on a small recorder he bought at a store in Mexico. They would talk to cartel associates while using their phones' speaker setting and record conversations, he said. They included conversations about shipments and plans with other members of the cartel. "My brother and I were alone. We didn't have a DEA swat team in the next room. It was just us." When he finally met Guzman, the kingpin made a crack about Flores' jean shorts. "He said with all that money I couldn't afford the rest of my pants," Flores said in court. He told Guzman, "I had this idea like in the movies. You had a line of people shooting them in the head and saying, 'Next.' "
"He said in a serious tone 'no,'" Flores said. " 'Only to the ones we have to.' "